Looking for a fun piece of confectionery themed home decor with which to decorate your door? Look no further than this fantastic, chocolate bar themed, decorative door decal, courtesy of the talented team of designers at Tenstickers! 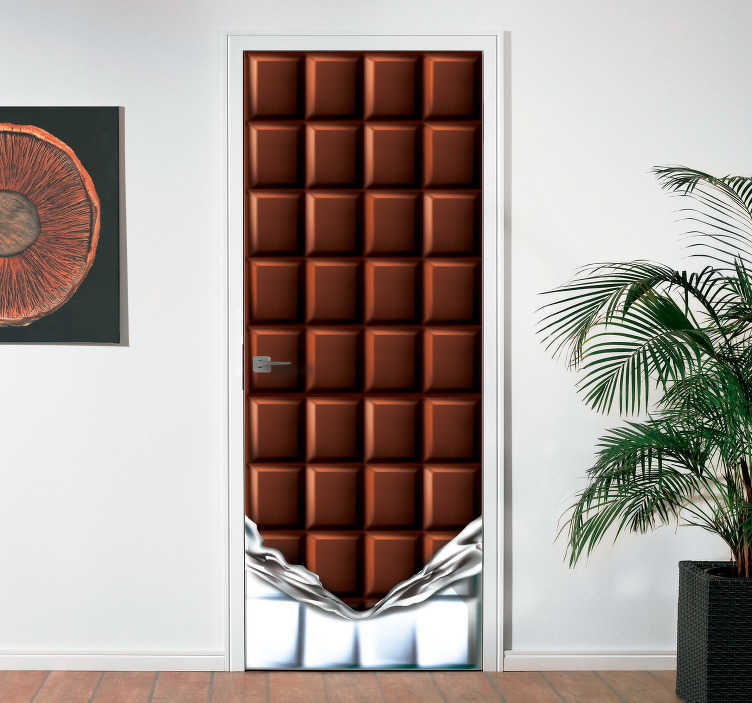 Chocolate is never out of fashion or out of date, so why not pay tribute to it with this fantastic door sticker! Ideal home decor for those looking to add a unique and fun, yet still immensely stylish, piece of decoration to their home!